Increasing sunshine this morning will leave us with mostly sunny skies and lows in the mid to low 70s. We will have a north wind and a low risk of rip currents. Sunday should bring similar conditions. It will be mostly sunny with quiet conditions. 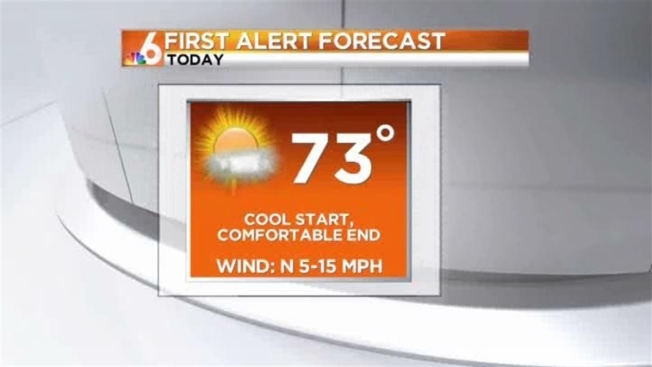 Highs will be in the mid 70s. We will be rain free all week long. We will see mostly sunny skies with a gradual warm-up. Temperatures will be in the mid to upper 70s all week.